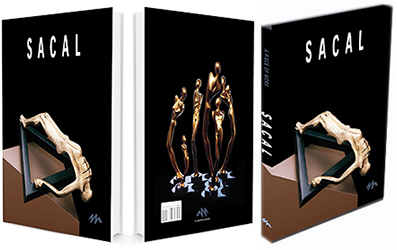 SACAL - bibliophile limited edition, includes 110 brilliant works of art of Jose Sacal and essays by critiques and writers. José Sacal is a sculptor and ceramist born in Mexico. His work has been interpreted as Surrealism, a sandbox with the subconscious mind. His art is essence because it arrives from the deepest of his feelings expressed through the beings he creates.